Shazwani Hamid's Blog: Earth Day! Earth Day is one of two observances, both held annually during spring in the northern hemisphere, and autumn in the southern hemisphere. These are intended to inspire awareness of and appreciation for the Earth's environment. The United Nations celebrates an Earth Day each year on the March equinox, a tradition which was founded by peace activist John McConnell in 1969. 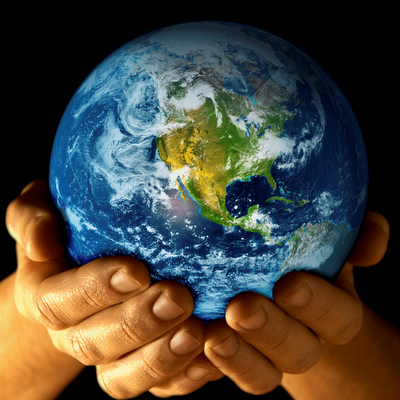 A second Earth Day, which was founded by U.S. politician Gaylord Nelson as an environmental teach-in in the late 1970s, is celebrated in many countries each year on April 22. I heard there was a KL Freeze at Pavillion and Sunway Pyramid last week. I didn't go, but my friend went for it and he said it was awesome. And it sounded fun and interesting to me.. I wish I was there..
A facebook posted event 48 hours before and everyone gather at the organised place and synchronize the clock and freeze for 4 minutes. And then, as the clock ticks away, everyone unfreeze and walk away. Who would have thought that a simple group from Facebook that sent message across in the cyberspace can gather more than a 1000 people at the same place to accomplish something. That trully indeed is special and it proves a point that no matter what color, race, religion, gender, tall, short, fat, thin and etc, humans can work together in this place called Earth despite at times other things that come in the way and disrupts the peace and harmony. 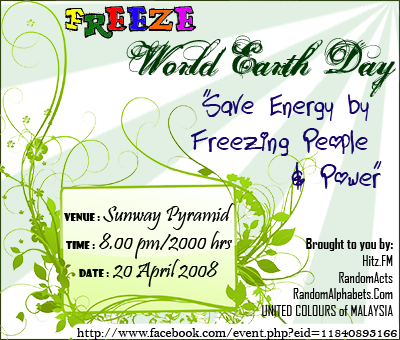 The objective is to freeze in unison for World Earth Day. He said, some people wore green, and there were some people who held banners, some brought paper fans, and some brought aerosol spray, and some even wore masks! All in conjunction to raise awareness of World Earth Day! The whole idea of people gathering at a spot was mooted by some of the organizers. 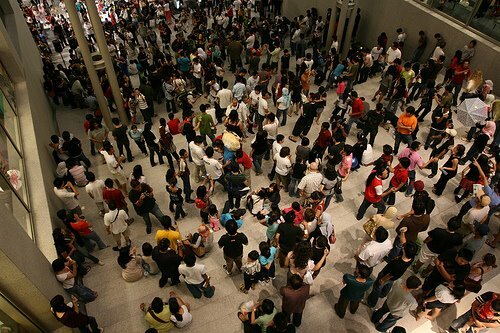 The whole event kicked off when people started to cramped up at Pavillion centre court and waited for the time to arrive at sharp 3.35 pm, and then once the clock hit that time everyone froze. After 4 minutes, the whole Pavillion was overjoyed and there were shouting and cheering that came along when it ended. I think it's kinda cool! !